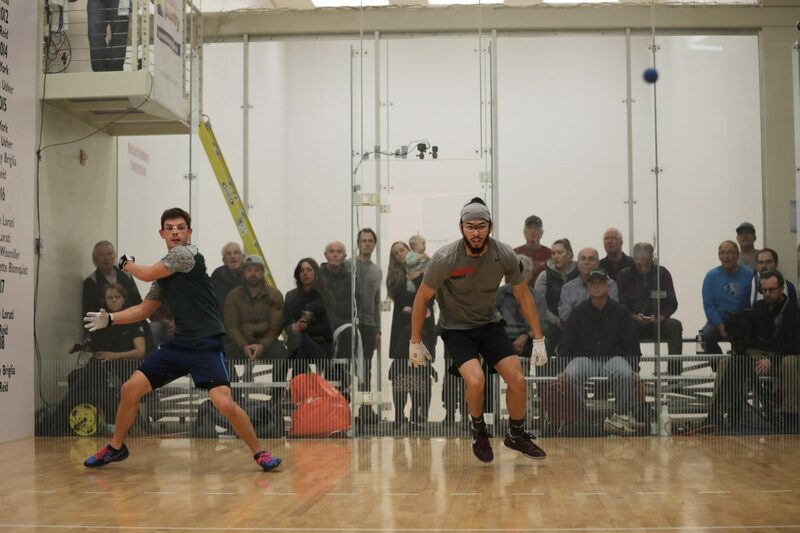 Sunday marked the conclusion of the Portland’s second R48 stop and the R48 8’s third stop, as the best players on the R48 tour battled for the Portland R48 8 title and ranking points at the Multnomah Athletic Club. 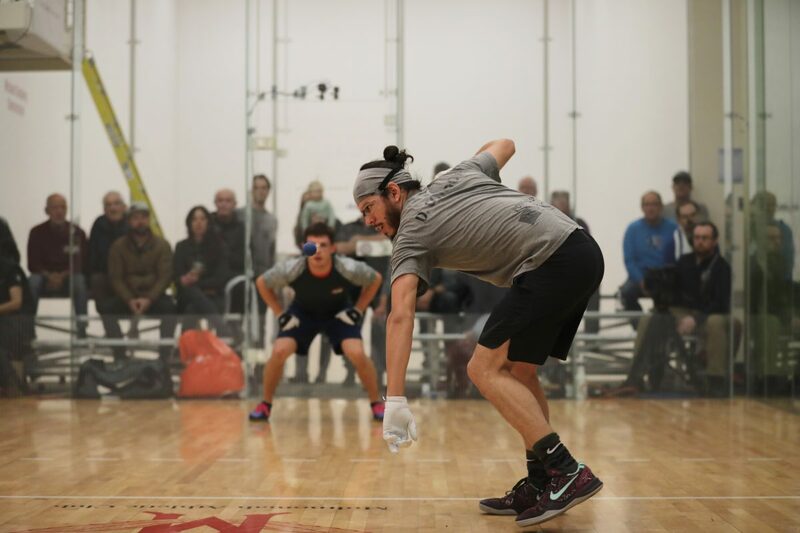 Daniel Cordova entered the final seeking his first R48 title in three finals appearances, while Killian Carroll was aiming for his first title of the season. 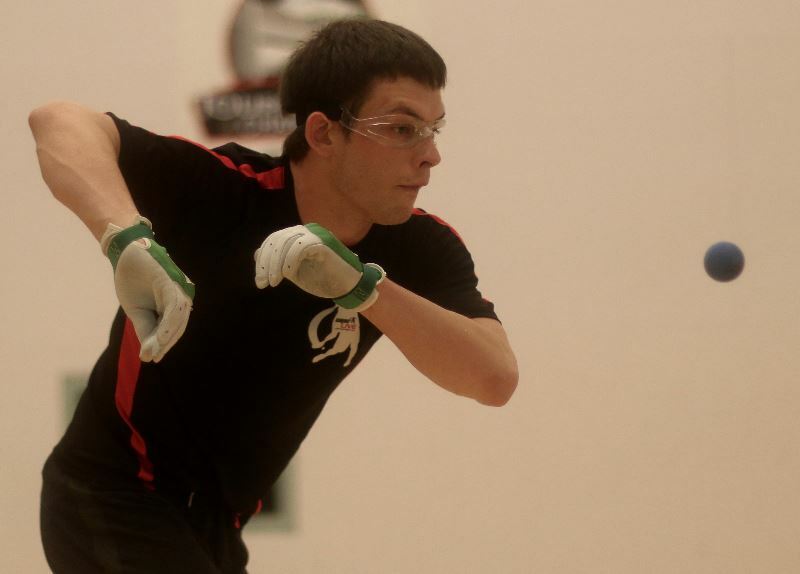 Carroll had never lost on the MAC’s two-wall glass show court, while Danos earned his first collegiate national title at the MAC. Cordova took control of the match early in game one, overpowering Carroll with power hop drives and keeping the 10-time R48 champion off-balance and in the back of the court. Carroll tied the first game at six after trailing 4-6, but a double fault at six-all ended Carroll’s scoring in game one, as Cordova rattled off nine consecutive points to take a one-game lead. Cordova continued his hot streak in game two, taking a 7-2 lead by tracking down virtually every Carroll kill shot attempt and earning scoring chances with vicious hops during the rallies. Carroll seemed to find his form at 2-7, scoring four consecutive points to cut Danos’ lead to one, but just as in game one, Cordova took control, scoring the final eight points of the match. 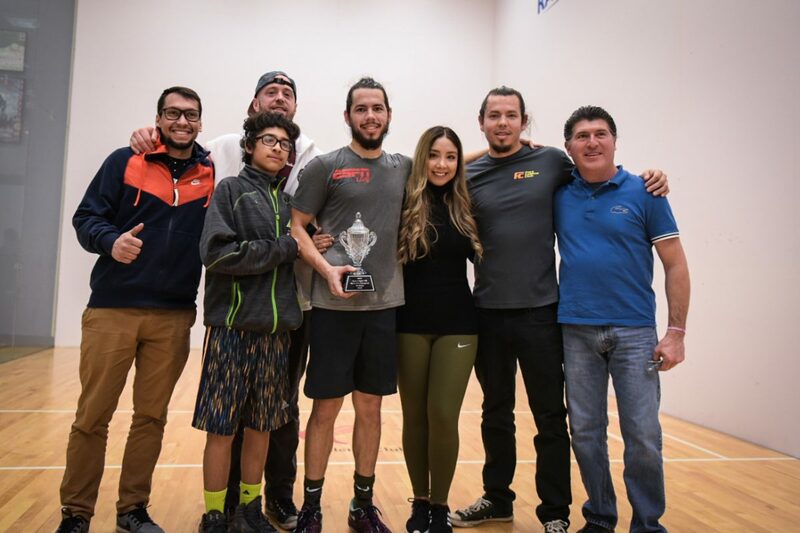 Vic Perez ousted LAAC teammate and mentor Marcos Chavez for third consecutive time to earn fifth for the second time this season, while David Fink overcame Emmett Peixoto in a thriller to win ninth. Max Langmack bested the largest and deepest 17th place playoff draw in history to add to his ranking total, defeating two top 25 R48 pros en route to the final (Stoffel, Cooney) and overcoming Denver’s Armando Ibarra in the 17th place final. 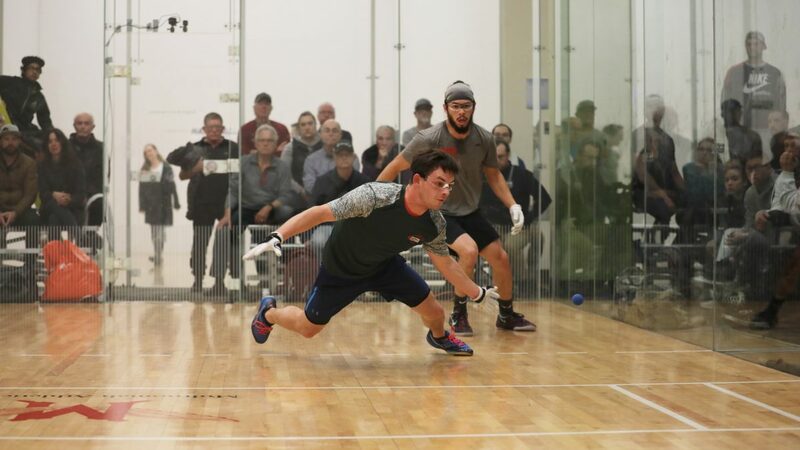 The WPH proudly presented the second USHA 4-Wall Junior National Championship final on ESPN3, as David Walsh (IRE) challenged Michael Gaulton (CAN) in the 19-and-under boys singles final. 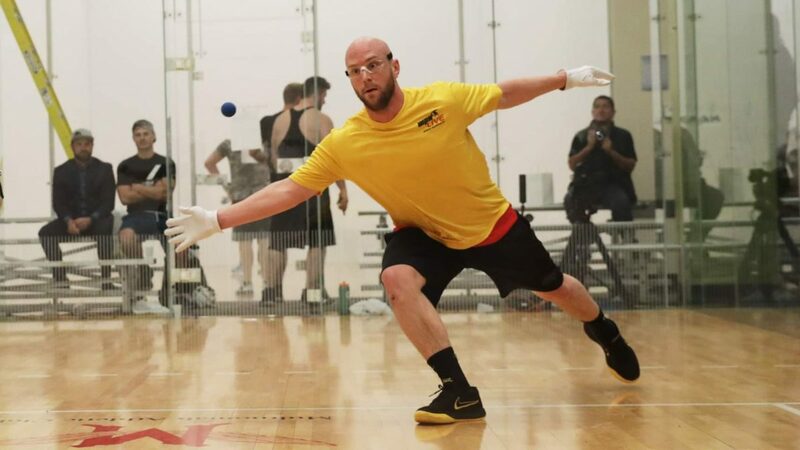 Following a grueling opening day in Portland that saw the R48 stars start at 8 am and finish late into the evening, the R48 Elite dueled in quarterfinal and semifinal action on ESPN3 on Saturday. 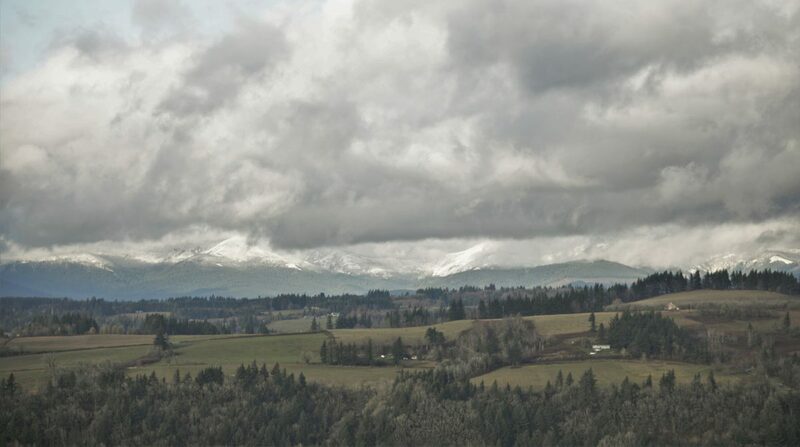 Saturday in Portland also featured the R48 playoffs and a special USHA 4-Wall Junior National feature match live on ESPN3. Killian Carroll kicked off the day with a clinical win against four-time SR48 Player’s Champion and R48 #9 Marcos Chavez, overcoming a slow start to dominate the second half of game one and cruise in game two. “I showed up late because I had the time mixed up, so it took a bit to get going,” stated Carroll. Lucho Cordova ended Erik “Chino” Torres’ run in Portland, dispatching the Northern California star in two games. Danos Cordova was seeking his second semifinal in three events on the R48 8 season, while his Lake Forest College adversary Vic Perez could climb into the R48 top five for the first time with a victory. Danos played superbly to start the match, racing to a 9-0 lead before Perez could work his way into the match. Perez would play competitively in the first game’s second half but fall short, 15-7. 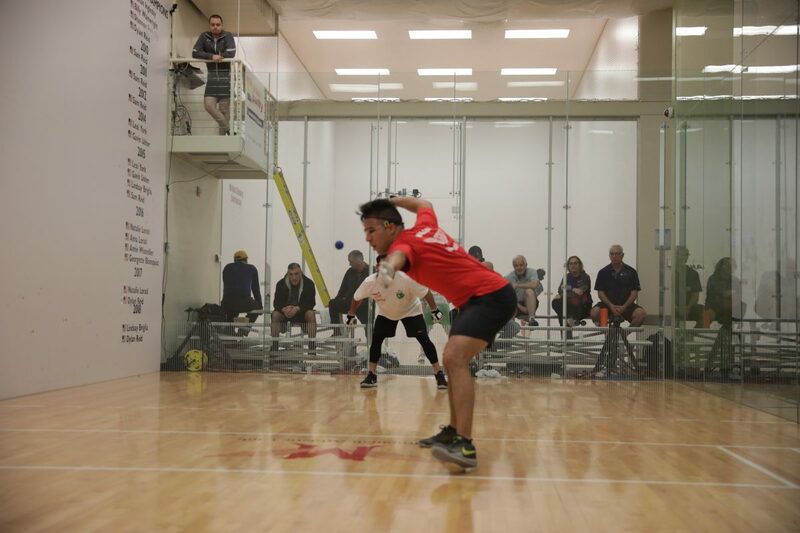 Perez slowed down the game in game two, using an underhand lob serve into the side wall glass to take control of the rallies and dominate the second game. 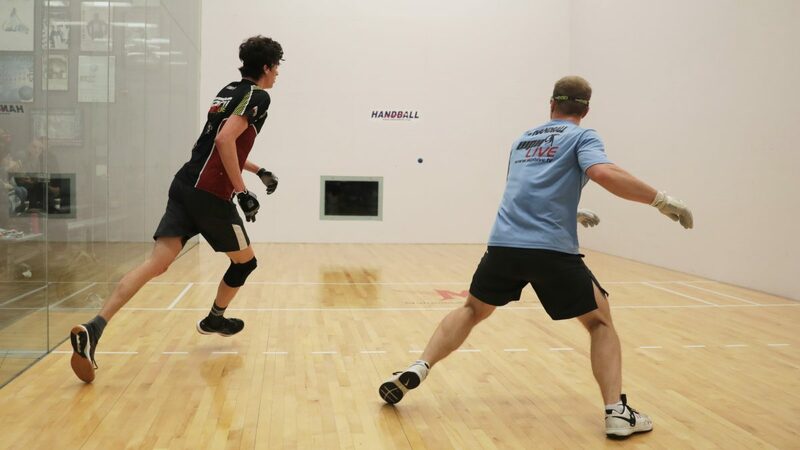 Killian Carroll was outstanding in exacting revenge against Atlanta conqueror Lucho Cordova in the first semifinal, defending virtually all of Lucho’s power serves with a fist to the ceiling, while dominating the front court on his serve with lethal strikes. “I wasn’t happy with my training so I got back to the basics of not being lazy with my feet and dropping my knee to hit my shots,” stated Carroll. 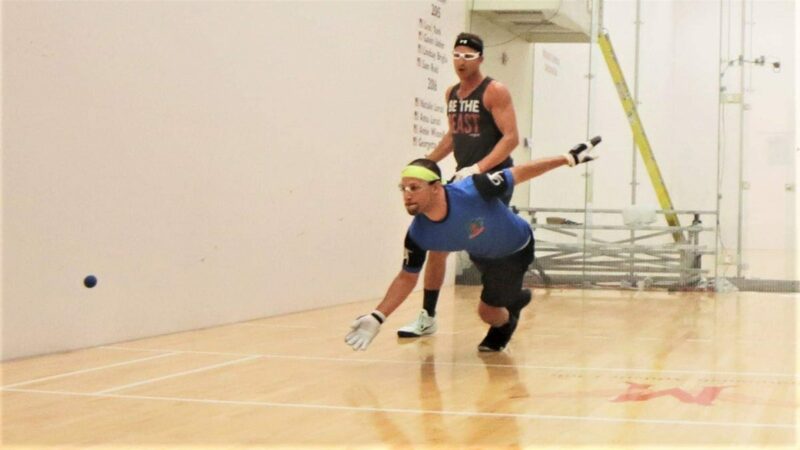 Danos Cordova entered his semifinal with Sean Lenning aiming to defeat “The Freak” for the second time this season and started emphatically, blitzing Lenning 15-4 in the first game. 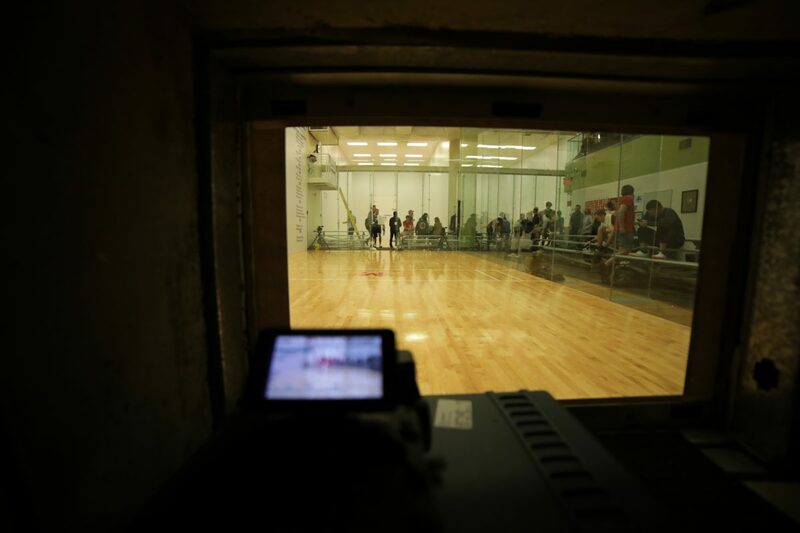 Junior stars Ray Ure (IL) and Jorge Pimentel (AZ) played for the 17-and-under USHA 4-Wall Juniors National Championship live on ESPN3, showcasing the next generation of junior handball stars. Ure and Pimentel dazzled the galleries with sensational rallies in the first half of the first game, with both junior stars extending rallies with incredible grit and determination. “Those rallies in the first game were amazing, both of the guys were diving and making great shots,” stated USHA Hall of Famer and Executive Director Vern Roberts. Ure pulled away in the first game’s second half and cruised in game two for the 17-and-under championship. “I’ve been working really hard on my game and it feels really great to win this title,” stated Ure. Tune in to ESPN3 on Sunday morning at 10am for a second junior feature match! The 2018 R48 8 Portland marked the 51st event in the history of the Race 4 Eight tour, with the tour spanning 16 states in the R48’s first eight seasons. The 2018 R48 Portland featured one of the largest R48 fields in the history of the tour, with 20 ranked R48 pros joined by 22 qualifier hopefuls. 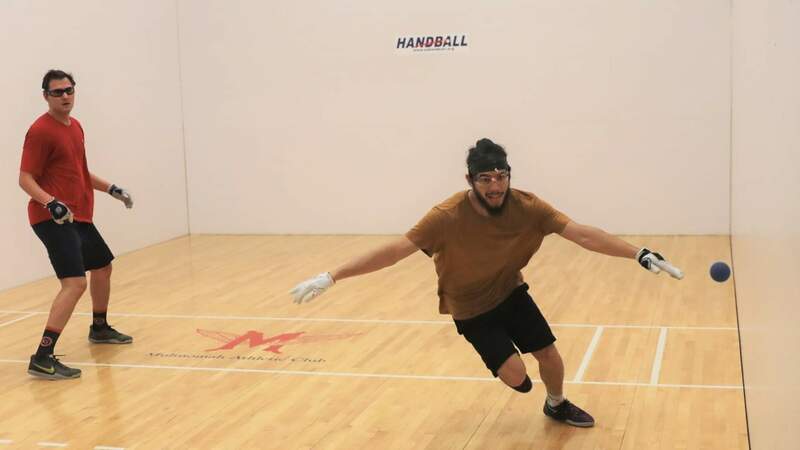 The 42 handball stars competed alongside the best junior handball players in the world in the USHA 4-Wall Junior Nationals at the Multnomah Athletic Club in downtown Portland, one of the world’s most prestigious athletic clubs. 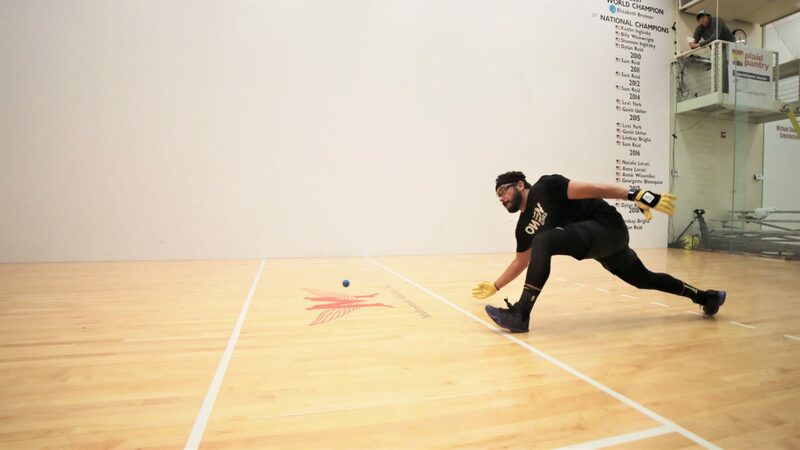 The MAC hosted the R48 Player’s Championship in 2016, producing electrifying handball on the most fan-friendly two-Wall glass exhibition court in the sport and 2018 continued the Portland momentum with a scintillating first day of handball. Play kicked off at 8 am on Friday morning with round of 64 and round of 32 play, as the 42 Portland champion hopefuls filled the MAC’s 10 courts. 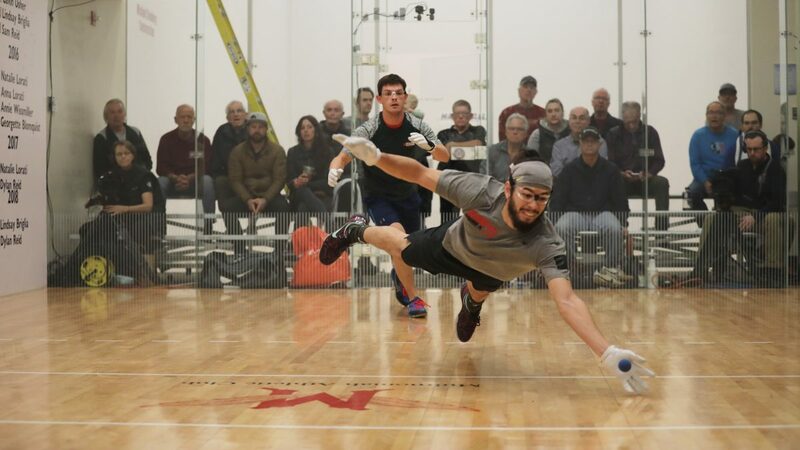 Coleman McCrath stunned R48 veteran Stephen Cooney in the round of 32 to earn a R48 ranking for the first time, while Aaron Garner returned to the tour for the first time in two years by ousting R48 #14 Max Langmack in two games. The remaining top 16 seeds advanced to Friday afternoon’s round of 16 with little difficulty. 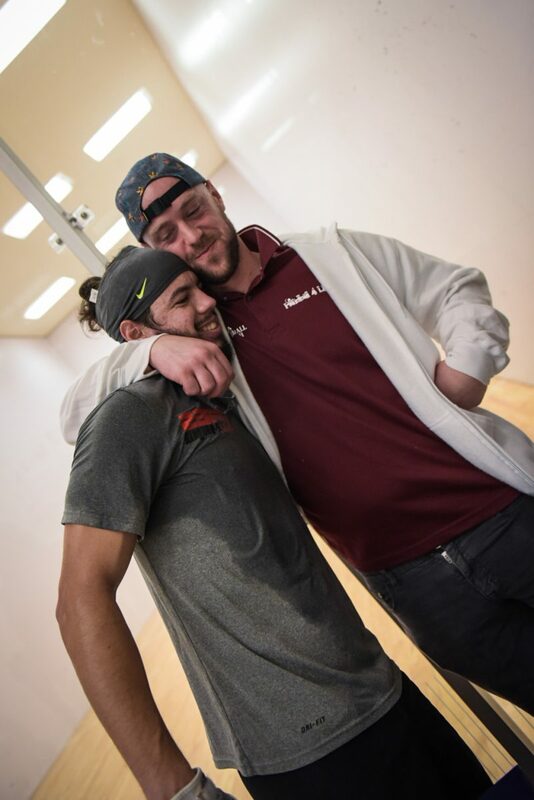 Co-R48 #1’s Killian Carroll and Sean Lenning headlined the Portland R48 and cruised on Friday, dispatching Abraham Montijo and Leo Canales, Jr., respectively, en route to Portland’s quarterfinals. The Flying Cordovas continued their impressive R48 8 seasons, eliminating Aaron Garner and Shorty Ruiz en route to the quarterfinals. 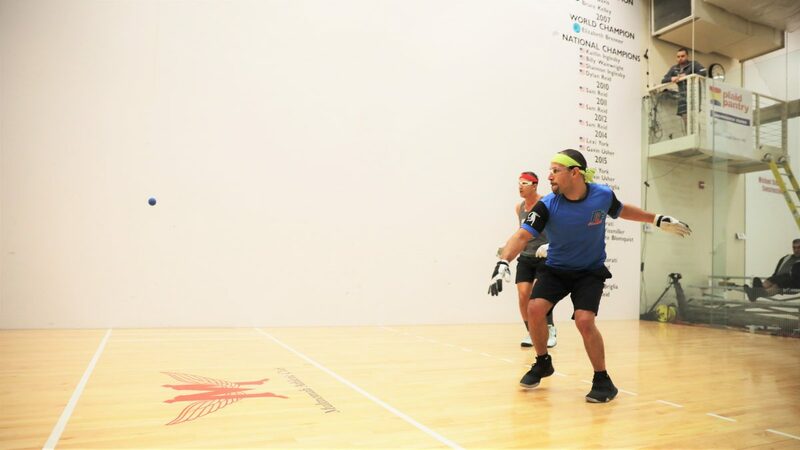 Fifth-seeded and R48 #8 Mando Ortiz became the first Elite 8 member to lose in the round of 16 this season, as the Olympic Club’s Erik Torres turned the tables after a decisive first-game loss to the former R48 #1 to dominate game two and earn his first R48 round of 16 win in a 15-13 tiebreaker. David Fink joined Ortiz, becoming the second Elite 8 member to lose before the quarterfinals this season in losing to Colorado’s sharpshooter Jonathan Iglesias in two games. 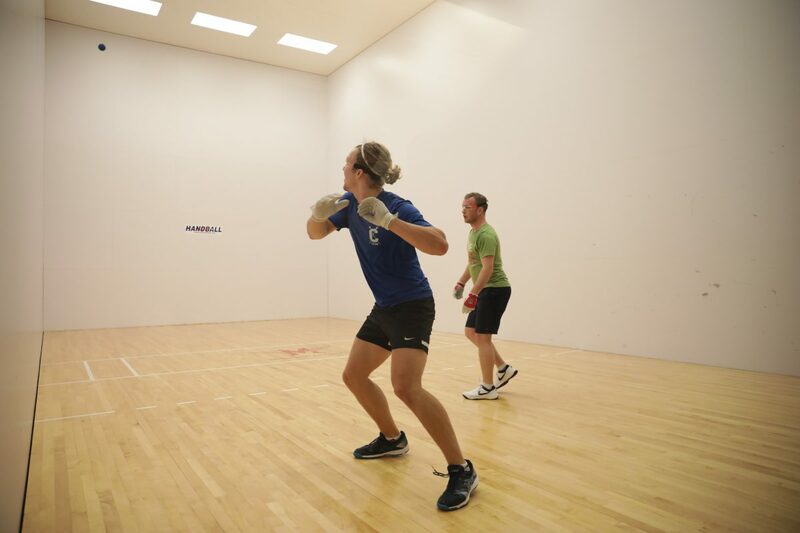 Iglesias ousted Fink with a devastating serve and high-octane first-strike offense to notch his R48 win against Fink. 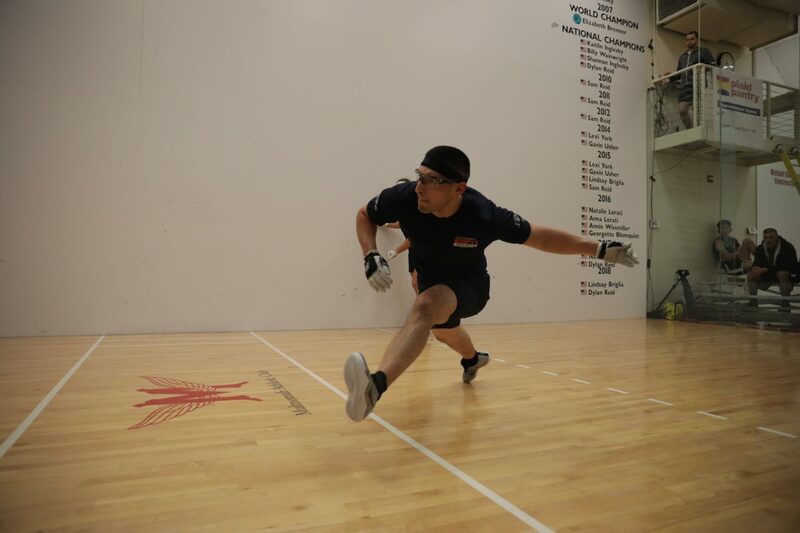 Vic Perez slowed down first-time R48 qualifier Coleman McGrath in McGrath’s first R48 main draw appearance, pulling away from the youngster midway through game one and dominating game two. Emmett Peixoto joined his fellow Elite 8 compatriots in bowing out in the round of 16, dropping his first main draw R48 match to California rival Marcos Chavez. Chavez blitzed Peixoto in game one, but was overcome with errors in game two. 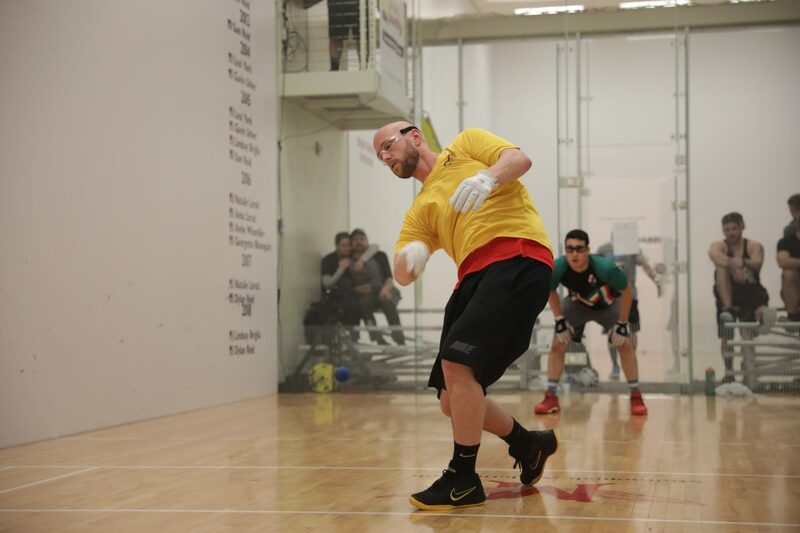 Chavez regained his dominant form in the third game, racing to a 6-0 lead and never allowing “The Rock” within striking distance en route to his second quarterfinal of the season. 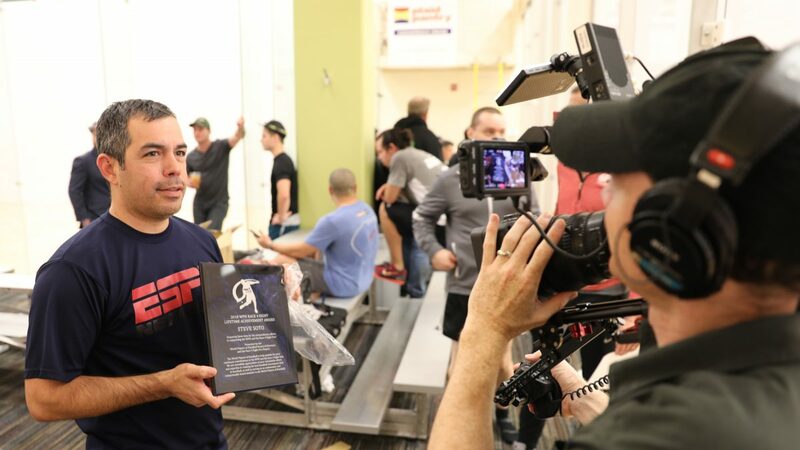 Portland’s Steve Soto is one of the WPH’s greatest assets, always working behind the scenes at tournaments and serving as an indispensable member of the WPH board of directors. 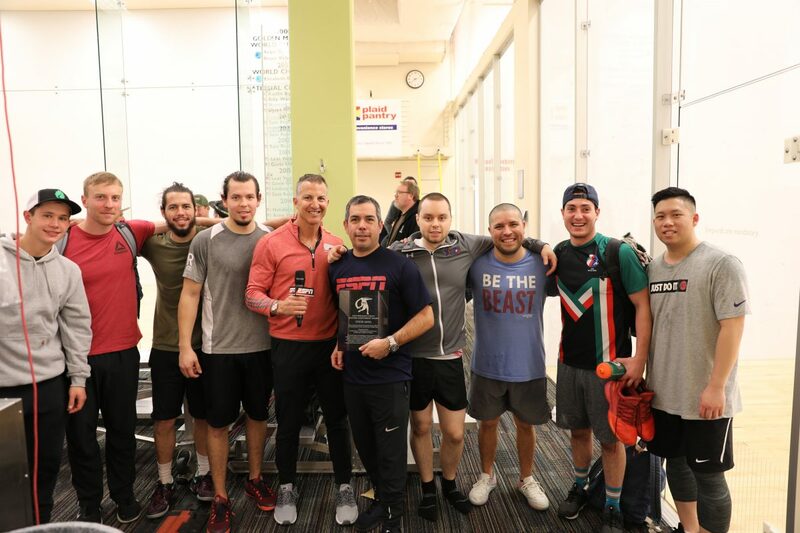 “Captain” Soto has served one of the WPH’s greatest volunteers and contributors since the inception of the WPH in 2005, donating his time and boundless energy to the growth of the sport. The R48 Elite 8 signed autographs for the stars truck juniors competing in the USHA 4-Wall Junior Nationals, handing out 8×10 autographed pictures signed by each member of the Elite 8. “I’m Killian Carroll,” exclaimed an ecstatic 11-year old holding his signed picture. 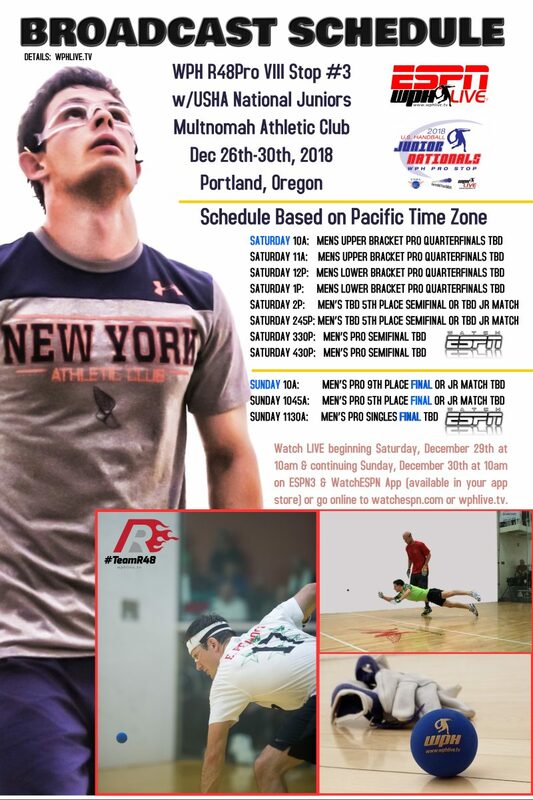 WPH Race4Eight Professional Handball Tour of 2018/19 continues in Portland, Oregon, December 28th-30th; meanwhile, the USHA National Juniors (4 wall) will kick off at the same location December 26th; both at the Multnomah Athletic Club. 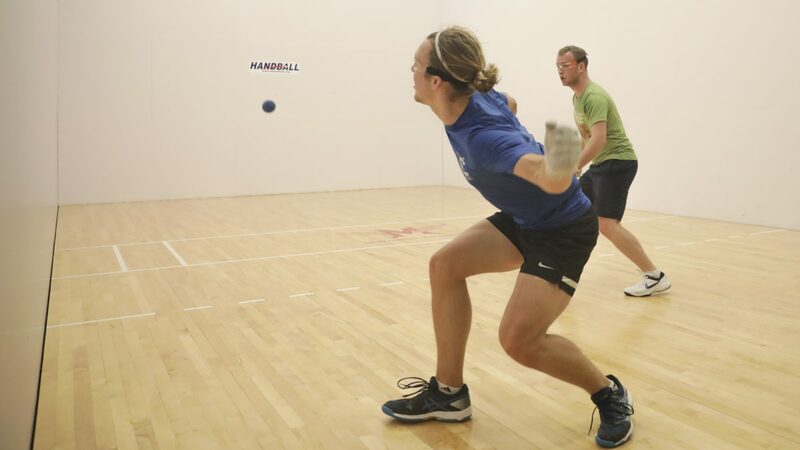 The World Players of Handball will be live on ESPN3 & WatchESPN App beginning December 29th at 10am Pacific. The WPH will use this thread to distribute the daily write-ups; however, exclusive content will be fed through the WPH Patreon Channel; to include alternative ways to WATCH the live broadcasts. Please help distribute the broadcast schedule below! 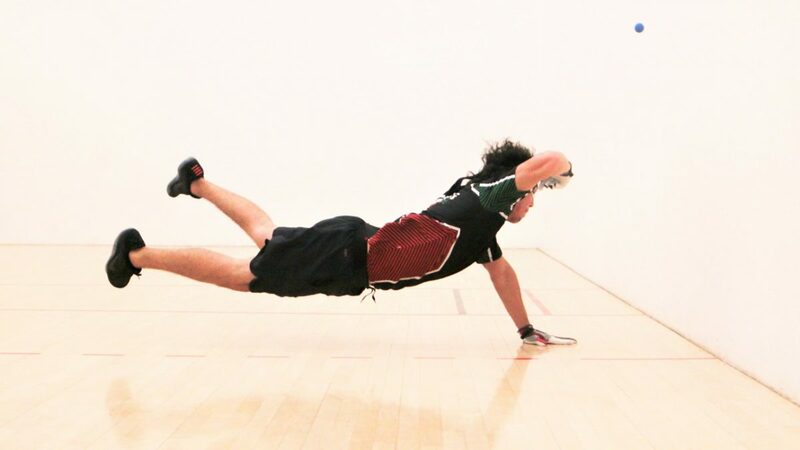 The more viewers Handball gets ~ the more likelihood ESPN will re-sign w/Handball in the upcoming year. Thank you so much, in advance!